Tamer Union: Appmon Episode 1 Review: "The Search Results Are Shinkai Haru! Gatchmon Appears!" Appmon Episode 1 Review: "The Search Results Are Shinkai Haru! Gatchmon Appears!" A lot rides on this first episode of Appmon. It's a highly-anticipated season, and for many people an uncomfortably-anticipated one. For a franchise so occupied by evolution, Digimon has struggled to make lasting and meaningful adaptations. More than a few fans are naturally riled up by the idea that the world of smartphones, mobile games, and microtransactions could be its salvation. But what I think these fans will be relieved to discover is that at its core, that's not what Appmon is about. 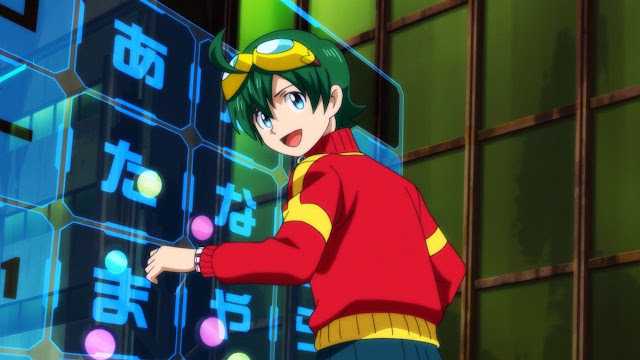 Appmon is about a modular world where technology has an everyday presence, and children are forming identities in that world, where universes overlap, with those children having special access to those universes through technology--or to be more blunt, when you get past the aesthetics it's the same essence Digimon's always had. Already we have a vibe for what the general structure of this season will be, and it's not too dissimilar from the first six series. The first episode introduces a focal Digimon, an associated character dilemma, and a solution that both defeats the monster of the week and advances the human cast. 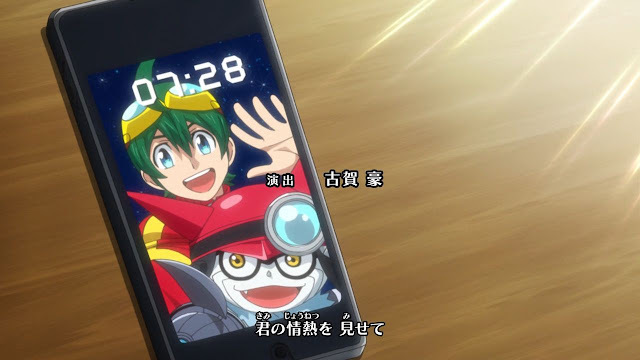 After the episode proper, there's a short bit at the end of the episode introducing an Appmon and what its powers are, similar to the inter-episode Digimon Analyzer sequences of seasons past. Where Appmon differs is in a couple places. The first is that its overall tone is like a "Buddy Cop" narrative, with two contrasting central characters that solve cases involving berserk Appmon through their differences. Digimon usually features complementary pairs, so these two may throw veterans for a loop. The second is that it has a collection aspect to it, as at the end of the episode Haru claims the Appmon Chip of the monster he's defeated. Presumably this is to give him access to a variety of App Fusions--a skill we know about from the toyline, but have yet to see executed in practice. Appmon also sets itself apart from previous seasons in the way it writes its monsters. Out of the whole franchise, Haru certainly steals the nomination for "most adorable protagonist." The Digital Monsters themselves have frequently been criticized as being pure extensions of their human partners, with no personality of their own. When you do get a Digimon with a clear independent character like Tailmon, that individuality tends to get subsumed whenever they're put in too-great proximity with their human. In contrast, Haru and Gatchmon work based on their duality--the two are opposing forces in the anime, with Gatchmon being the gung-ho bloodthirsty fighter, and Haru a withdrawn boy afraid of getting fighting and getting hurt. Ryuusei no Rockman fans will have a favorable comparison in Subaru and Warrock, who had a similar dynamic. But unlike the verifiably depressed Subaru, Haru isn't a melancholy person, he's just too nice for his own good. The crimes and the culprits. When the berserk Messemon runs around town sharing everyone's most embarrassing photos, we get a very quick insight into one of the worst moments in Haru's life. It's from his mom's blog--of him when he was in fourth grade, crying after having wet the bed. This is a huge clue as to what kind of person Haru is. Almost immediately fans on Twitter pointed out a comparison with a similar photo (from Diablomon Strikes Back) of Taichi having done the same thing when he was little, only Taichi had no shame over it. This is important, because it betrays a deeper truth about Haru's perspective. He's not easygoing like Taichi was, or hard-hitting like subsequent protagonists. If anything, he's obsessed with how others perceive him and what kind of "character" he is. Throughout the first episode, we're continually reminded of the fact that Haru does not view himself as a hero, and he starts the series with an overall negative impression of himself. Haru continually compares himself to his friend Yuujin, who he believes to have a much more heroic character. (This despite Yuujin pointing out that he sees Haru as the more heroic one. Both of them believe the grass to be greener on the other side.) Even in the first episode, this negative impression borders on self-hatred--when Haru is forced to confront the berserk Messemon and paralyzed by fear, he's shown loathing his inability to stand up and fight back. And in the beginning of the episode when Haru is talking to the librarian, he adds the caveat that it's "impossible" for him to become a hero like Terry. That one embarrassing moment is reflective of how Haru conceives of himself. 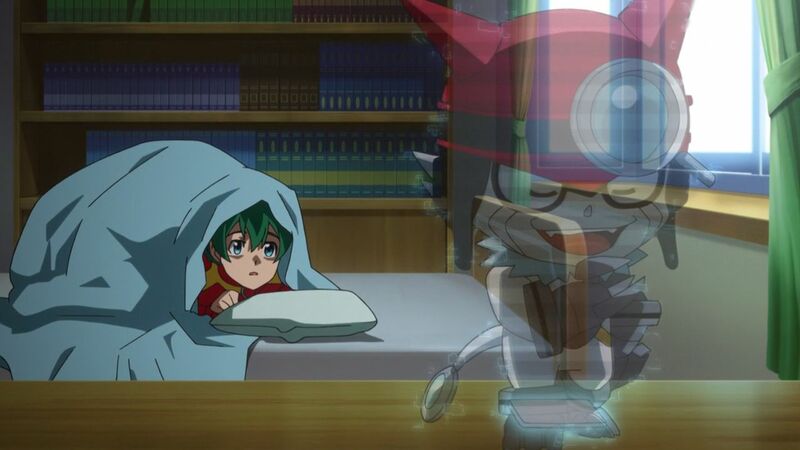 After seeing Yuujin comfort the girl he has a crush on early in the episode, Haru breaks under the pressure to find Messemon, and in a moment of panic insists he's unfit to play the hero; "No matter how you look at it, I'm just a bit-part bedwetting character!" A lot sets Haru apart from his predecessors, but the most visible is probably how emotional he is. We see Haru cry three times in episode 1--the first time from pain, the second time from embarrassment, and the third from rage. Haru's been chosen, he's the hero of his own story just like he always wanted to be, he has a great destiny ahead of him--but he struggles to overcome his own self-image. It's the moment when Gatchmon is in critical danger that Haru finally decides to own his destiny, declaring "I'll do it! I'll become a true hero!" and appliarising Gatchmon. There's a strong contrast here with Young Hunters, the last TV Digimon anime immediately preceding Appmon. 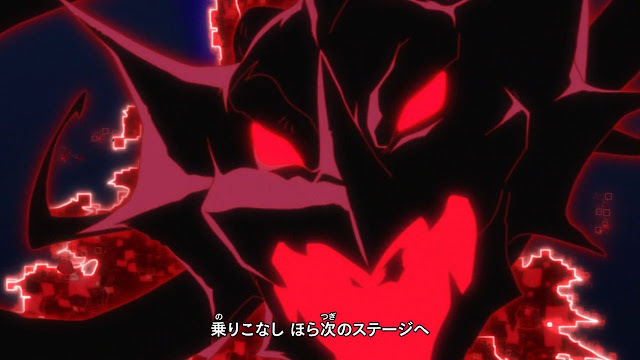 In YH's introductory episode, Tagiru has a similar moment where he Super Evolves Gumdramon, and from there Gumdramon simply takes over. For Appmon, Haru instead takes an active role as Gatchmon can't beat Messemon without him, coming up with a phrase that targets Messemon's weakness--"Message already read." (脇役スルー kidoku suruuu) This helps Gatchmon perform his "Deep Search" function of the Net Ocean, and ultimately render Messemon's attacks useless. Prior to Haru stepping in, Gatchmon and Messemon are in a stalemate, and it's the human component that makes the difference in a battle between digital entities. There are a lot of motifs like this that mesh well with the established canon. You have the Applidrive asking Haru "Are you a hero? YES/NO" which parallels Frontier's opening episode, much to fans' amusement. Then there's Haru's strategizing alongside Gatchmon, which draws on V-Tamer Taichi and Zeromaru's "100% combination." The manifestation of the AR Fields pulls from Tamers' digital fields, and Savers' realizing phenomenon. As a whole, the tone of Appmon bats very near to past Digimon entries, differing primarily in presentation and terminology. That terminology may be its saving grace--marketing Appmon primarily as Appli Monsters helps divorce it from association with Pokémon and give it a distinct identity for kids just coming into the franchise. Like a Digital Shift, but if the scenery made insulting comments every time you entered. We don't have a lot to go on for the AR Field just yet, but the first episode provides enough information to make its role clear. It's a space between the digital and the real, similar to the Digital Shifts of Cyber Sleuth, or the Denpa roads of Ryuusei no Rockman. There's also room for comparison with the Digiquartz, minus the time dilation. Like other alternate reality settings, it's a space in which battles can be held and damage done without having to immediately start wreaking havoc on the actual daily space the characters live in. Appmon's antagonists are fairly direct, a kind of atavistic throwback to the Saturday morning villains of old. We know from the outset that Leviathan is the dominating force of evil in the world, and almost immediately we're introduced to its servant, Cameramon. Cameramon is the monster personification of surveillance, one of the most overtly negative aspects of the "smart" world we're living in, and I think this hints at bigger critical ideas swimming under the surface of Appmon. Toei seems all too aware of what kind of product they're producing and where it's situated in the history of technology. Consider director Koga Gou's commentary, then think on what technology he might be referring to; "Perhaps artificial intelligence will exceed humanity's abilities. Is that a good thing? A scary thing?" 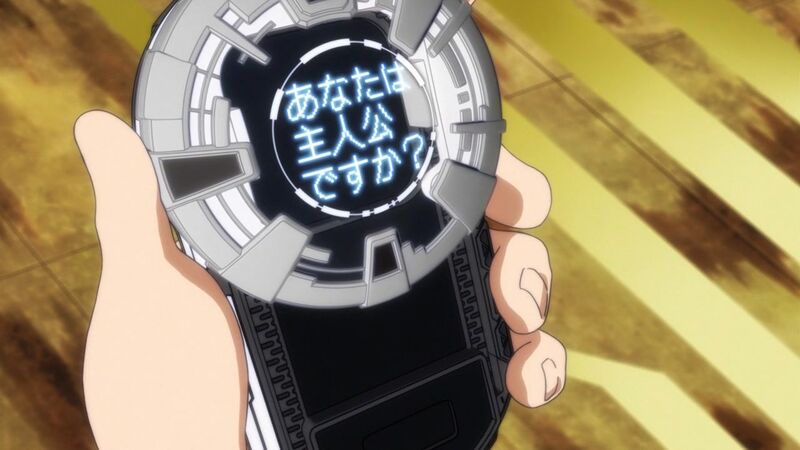 The anime has already set up some foreshadowing to more serious developments, with Yuujin being revealed to have some connection to the sinister Cameramon at the end of this episode. This is the fastest setup for a larger narrative we've ever seen in Digimon. 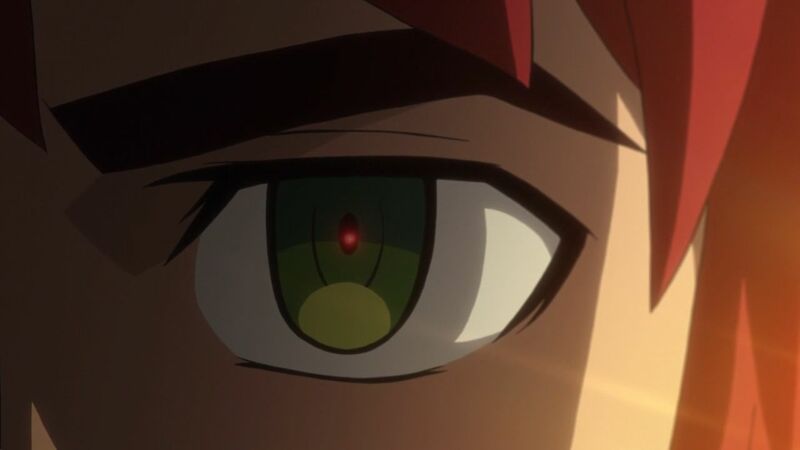 Even Tamers didn't do much to demonstrate Hypnos' involvement in Takatos' life or how immediately relevant they would become, whereas with Appmon we have a close personal friend of the protagonist being set up as a villain right from the start. This show hit the ground running yesterday. The anime demonstrates a degree of awareness about what it is. There's a clever bit snuck into the ending song, where Haru's smartphone appears on a table near the end with the time displayed as 7:28 AM. Appmon airs at 7:00 AM JST every Saturday morning, putting that specific part of the ED at exactly 7:28 AM in real-world time. As I watched this first episode, I found myself preoccupied by the question; is this anime what we need at this juncture in our history? It's no secret that this franchise has been on life support for several years. The 15th anniversary celebrations and Digimon Adventure tri. helped jumpstart a stopped heart, but they can only go so far. Our annual presence at Jump Festa is barely nonzero, and we helped start it way back in 1999. In order to revitalize Digimon into something other than a franchise zombie, we need new blood. That comes at a price; convention is not what attracts a new wave of viewers, invention is. Appmon is exploding with invention, rewriting the structure of a Digimon anime with an unconventional protagonist and Buddy Cop narrative. Its product structure is similarly revolutionary, no longer depending on a line of virtual pet or pedometer toys, and instead being centralized around satellite products that all interact with central 3DS and smartphone games. The issue that's going to weigh on veterans' minds as they watch this series is "How much can we change while still being ourself?" At what point is Digimon not Digimon? In this whole process of facilitating a revival--ideally, a revival that would leave Digimon bigger than it was at its peak in 2000--how much are we willing to give up to achieve that ideal? When we talk about Digimon, we're not just talking about a single anime series, but an entire subculture. This is the struggle that we've been fighting with ever since Tamers and Frontier aired, trying to evolve while still retaining our core identity. 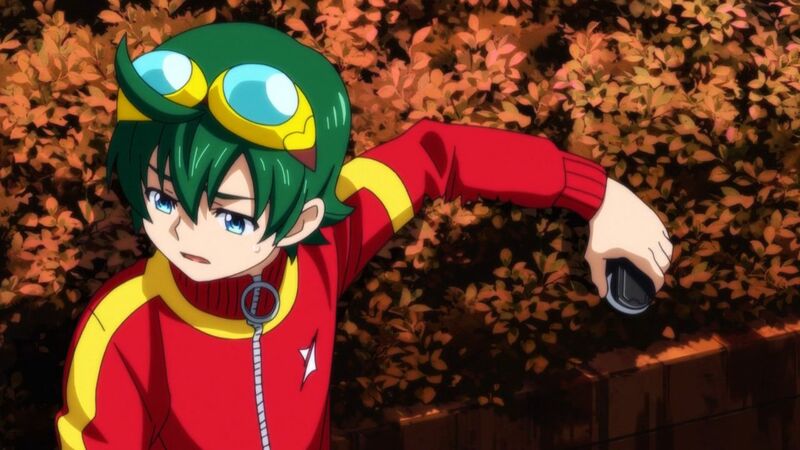 A mistranslated statement from series' producer Nagatomi Daichi circulated as a piece of popular clickbait prior to the series' airing claimed that Appmon would "take the Digimon out of Digimon," but a more accurate translation would be "Digimon, yet not Digimon." Nagatomi's description is fair for what we've seen in this episode. 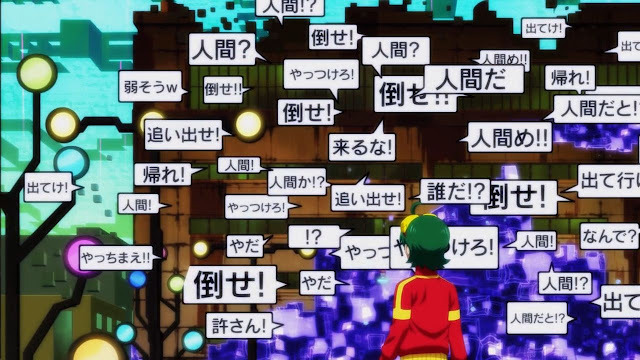 Appmon has many of Digimon's classic elements, emphasizing human-monster partnership, strong character writing, and connections between the internet and society. But these classical elements are married to the glorification of smart technology, character design that favors compact Yo-kai Watch-like designs, and a prioritizing of real world storytelling over any kind of Digital World adventures. 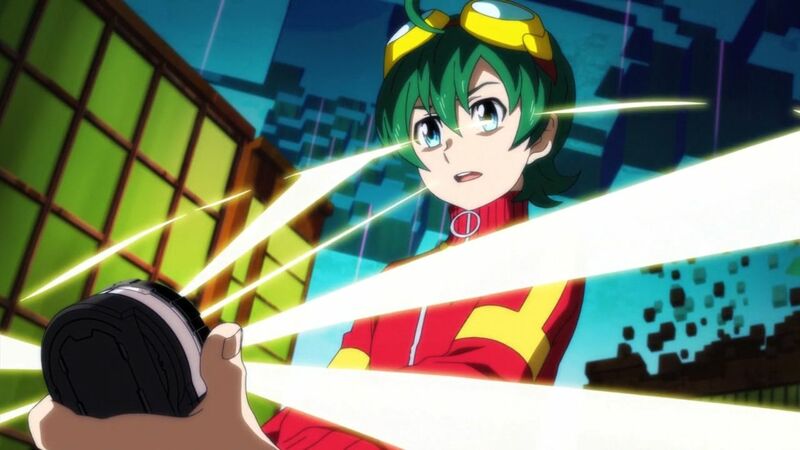 This is only episode 1 of a probable ~50 episode series, so it's possible that Appmon will do what Tamers and Savers did and introduce a Digital World arc. If that were to be a major component though, one would expect that like with Tamers and Savers it would be introduced in the first episode, and we only saw the vague Net Ocean. Right now the AR Field is our primary "digital" setting, and until further notice our only one. If push comes to shove and there is no Digital World, can we accept a Digimon series without it? There are some that will be disappointed by Appmon's first episode being written around and ending on such positive notes. Inevitably, any new Digimon series is going to be compared first with Adventure and then with Tamers, and the latter has a certain appeal to adult audiences that leaves them longing for more. It's easy to crave that ambiguous sequence of Takato first stumbling on Guilmon and seeing him shoot fire at a rat, uncertain of whether you're about to see a Jurassic Park attack or not. My view as a critic though is that Appmon made the right call in being a more positive anime. 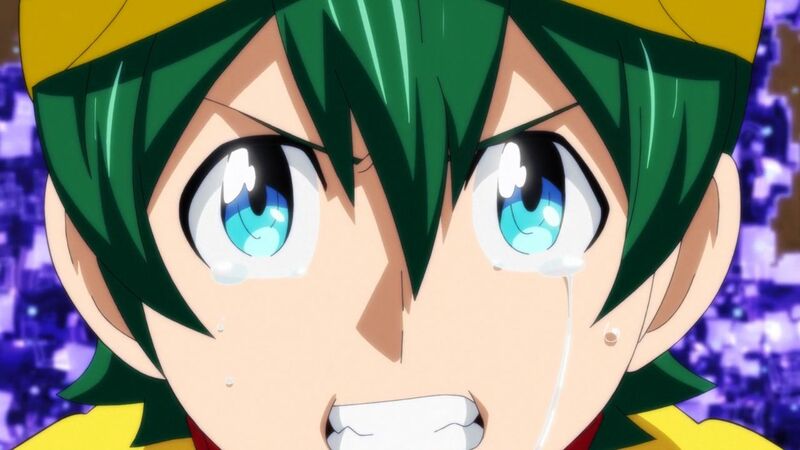 To those that want Digimon to take a darker turn and are disappointed by Appmon, I'd like to make a point; in the real world we're presently teetering on the precipice of what could be one of the darkest political periods in global history. Not just from a western perspective, but in Asia contemporary issues like the possible renunciation of Japan's article 9, the ongoing rebirth of nationalism, and increasing control of the free press by the state. In 2014 Japanese citizens protested draconian secrecy laws that caused their country's Free Press Index to plummet to the lowest it has ever been; in 2015 they protested Prime Minister Abe forcing a reinterpretation of the constitution in favor of collective defense; in 2016, these security protests renewed alongside opposition to continued American presence in Okinawa, a constant reminder of the countries' joint military interests and anti-Chinese alliance. In 2017, we may see any out of our first Japanese journalists sentenced for leaking "secrets," Tokyo finally caving under international pressures to develop nuclear weapons, or a push for once-unthinkable ideas like SDF conscription. At this point it's a guessing game of how far the line can be pushed on which issues, and if we're going to see saber-rattling turn into saber-drawing, or if that will be postponed for another day. If you want darkness, it's already here, right down to the constantly-kindling fires of war in East Asia. Tamers tried to be the antidote to darker times by portraying kids that were struggling with then-prescient issues of government surveillance of citizens, xenophobia and overt racism, acts of terror, and international war. But Tamers also fell flat, and in part I believe this is because it was showing kids things they didn't need or want to see. Escapism is often unfairly criticized as a bread-and-circus act, when in truth being able to get away from the invasive darkness of the world is a valuable tool to keeping your sanity. I remember being a kid around the time 9/11 was overtaking every aspect of society, and wanting to stop seeing it everywhere I went. I'm sure the Japanese kids living at the time of the sarin gas attacks or during the Tohoku earthquake had that feeling too. The Digital World we love so much is at its core a version of Never Land, a world where there are no grown-ups, no homework, and no darkness, where kids rule and good triumphs over evil. We need our ideals reinforced in fiction, because we're not going to see them played out in reality. Appmon is the kind of anime Wada Kouji and Mizutani Yuuko would be happy to see us watching. It's a fun series that gives hope to the kids that, like Haru, aren't the coolest ones in the classroom--which is most of them, statistically speaking. It's also an anime that takes on the mantle, aesthetics, and elements of Digimon even when it's not being as overt as past entries. 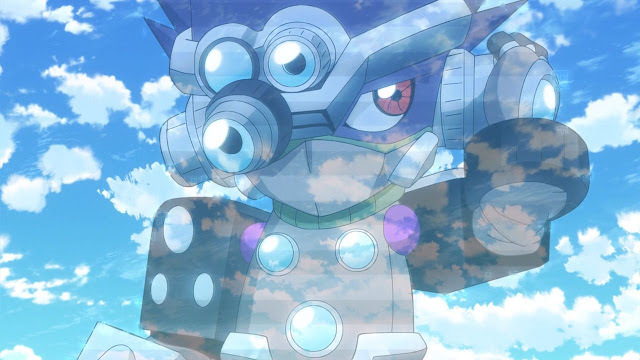 Overall, Appmon has one of the strongest first episodes in Digimon, filling its airtime with a surprising amount of both characterization and action. If you want to watch Appmon legally, TV Tokyo has provided a low-quality raw version of the first episode on their Appmon subsite. Otherwise, you'll have to turn to the same fandom sources this train's been running on since the pre-Crunchyroll days. Hopefully a sub group will pick it up. The journey of adventure still continues forever. I have the same way of your thinking, Touya. I'm really happy to see Appmon as a very refreshing series that separates me from the convoluted and forced attempt Tri. And yeah it has very big potential to be a much better series later, even can be better than Tamers, my most appreciated anime all the time. Thank you for the amazing write-up. I really love this show. It have the same kind of vibe of the beginning of Digimon Tamers. I'm looking forward to this show every week from now on. Love this. Woke up early on Saturday morning to catch it on TV and teared up when it started -- couldn't believe I was watching a Digimon series at release in Japan. I'd only disagree with one bit -- I think seeing our ideals in fiction helps us see just how present they actually are throughout our own lives. the first episode had same vibe like yokai watch haha2.not so convoluted and fairly fair...but still doubt it will get popularity like yokai watch? hope it will.... i think digimon gonna die soon... after applimon became so popular and bandai decide "yeah we wanna focus on applimon"... bye2 digimon? i guess gonna ready might be next order last "digimon" games... and take another "10 years" new digimon games they milk nostalgic... again?